Old black and white photos often leave us with the impression that past generations were dour, ridged, thought in terms of black and white, and had no fun. But the technology of photography has done us a disservice in masking some of the character of the past. Life was lived in full colour, was complex with multiple hues, people had a sense of humour, and had fun. 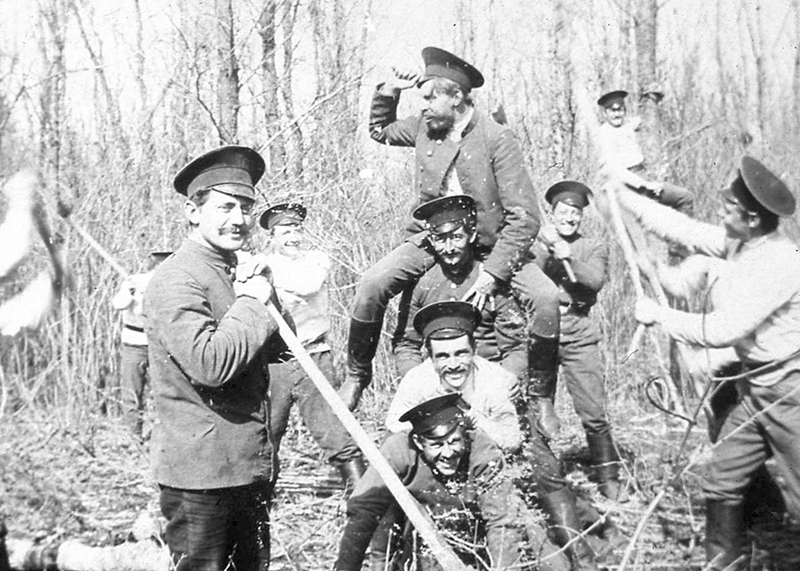 This photo came from John P. Dyck of Winnipeg and depicts a group of young men goofing off during their forestry service in Russia in 1912.